Opened in 2004. Newly renovated in 2015. 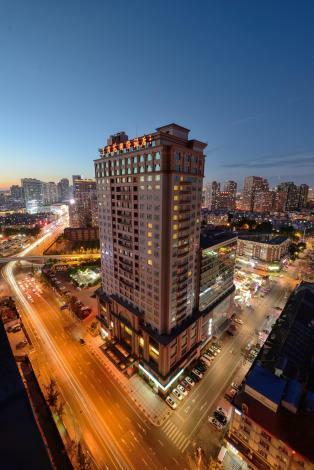 The Yushengyuan International Hotel (Yushengyuan Guoji Jiudian) is located in the commercial center of West Dalian. The hotel is about 14 km (9 mi) from Dalian Zhoushuizi International Airport. Chinese and Western cuisines are available at the on-site restaurants. Guests are invited to start the day in the hotel's coffee shop and unwind with a drink in the hotel's bar at the end of the day. Business travelers are invited to make the most of the business center and meeting rooms. Guests looking to stay fit can head to the gym for a workout, while those simply wanting to relax can get a massage or head to the game room for chess. This Dalian hotel offers free in-room Wi-Fi and free parking. - 9 km to Dalian Zhoushuizi Airport.